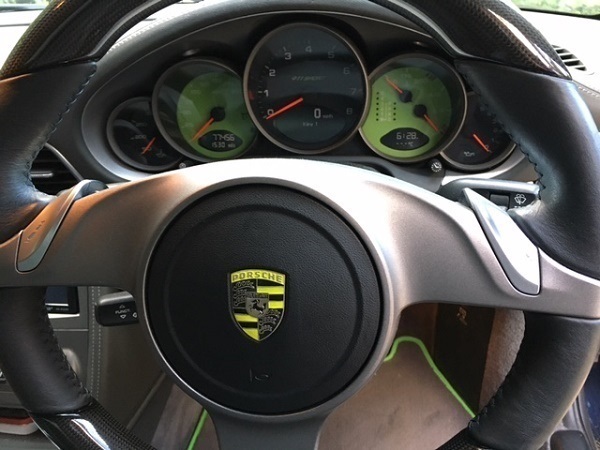 Please don't mock too badly here, but the crest in the centre of my steering wheel has been scored heavily when my wife was driving. Some sort of diamond ring steering wheel interaction. Don't ask, please, as even after hearing the story of how it happened first hand (no pun intended) I am still none the wiser. Every time I look at it it is bugging the life out of me. I have asked at my OPC if the badge is available as a part and apparently it isn't, just a a full replacement air bag, mucho dinero! I guess i could pick up a replacement wheel centre on ebay but I thought I would ask her first to see if anyone knew if the crest in the wheel centre is the same as any other that might be available as a stand alone part???? The reason why the badge is unavailable separately is if you stick on a badge yourself and the airbag goes off the badge will be propelled towards you like a bullet. It can be done , it is a pain and as its held in by a stud fixed on the back of the crest that goes into a hole in the airbag you will almostt certainly have to cut it off in which case the only way to allow the new one is to stick it in place , the downside of this is in a accident it may ping off and hit you in the face whereas its designed to stay attached to one half the airbag by the stud. So my suggestion is do it knowing what your doing or buy a used airbag with crest. heres a pic of my custom painted crest , which is how I know the above. There's one here which also has a black/silver crest as opposed to a gold one. I have been watching as I fancied it for mine as a change and to tie in with my enamelled bonnet badge but then it wouldn't match the crest on the gear selector.. It can be done.... carefully! Thanks for all the replies, I am building up a picture of what can be done, safely. With regard to the quote above, do you recall where you sourced the new crest? The general advice is to remove everything from the car and allow plenty of time for any "residual charge" to dissipate... don't scuff your feet along the floor and build up a static charge when handling, etc... I don't think there is any great issue in handling airbags that have been disconnected from a car, but the airbag part is typically referred to as the "bomb" on US forums, which is sufficiently alarming to at least make sure you employ the sensible precautions when handling!